Martin Luther King, Jr. Day is an American federal holiday marking the birthday of Martin Luther King, Jr., an activist and leader in the Civil Rights Movement. 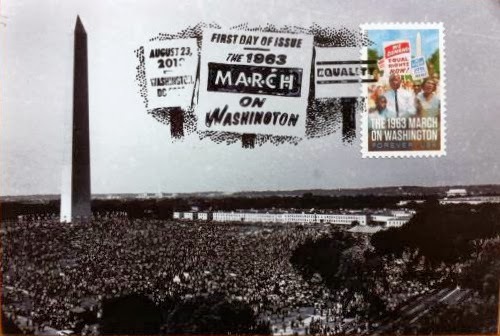 He is best known for his "I have a dream" speech, delivered at the 1963 March on Washington gathering, as shown on the Postcard US-2474576 to China. Whereas King's birthday is January 15, the Martin Luther King, Jr. Day is a floating holiday observed on the third Monday of January each year under the Uniform Monday Holiday Act. In 2014, it falls on January 20.